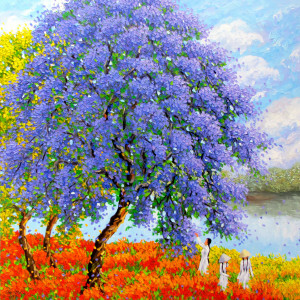 Purple combines the dynamism and passion of red and the melancholy and coldness of blue. 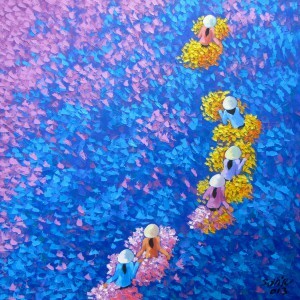 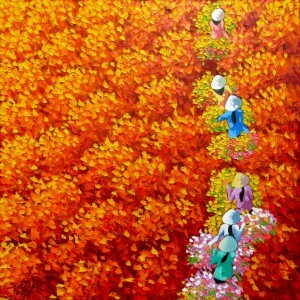 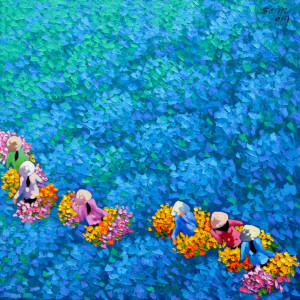 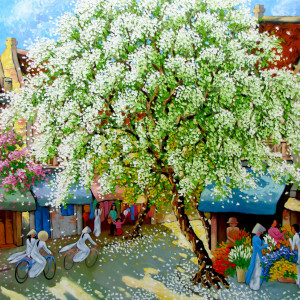 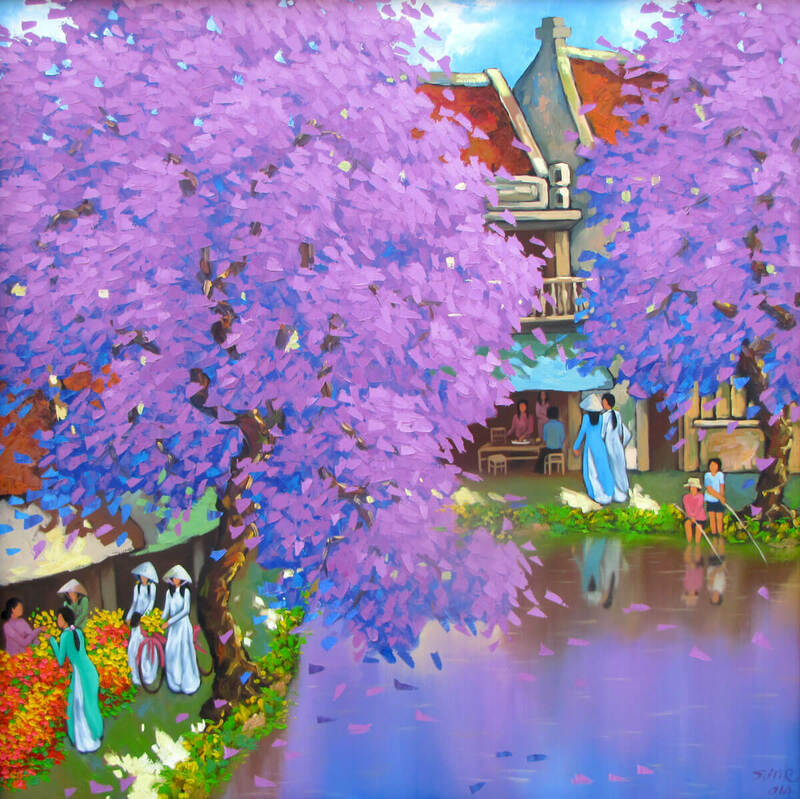 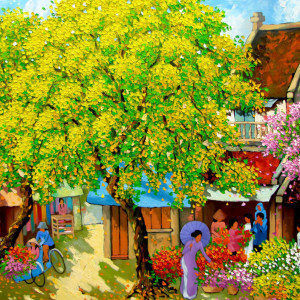 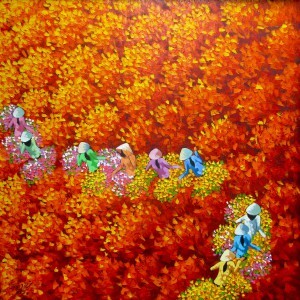 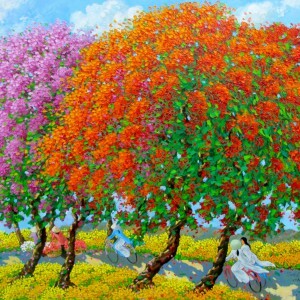 Using purple as the key color, he imbues the ubiquitous scene of a Vietnamese town with unrealistic sublimity, as it contrasts with the stereotypical notion of autumnal palette of red, yellow and brown shades. 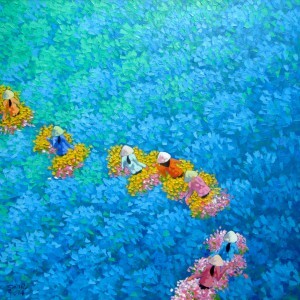 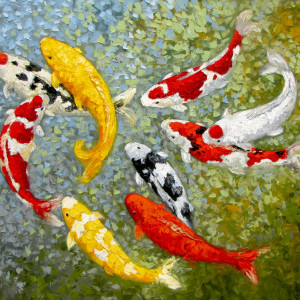 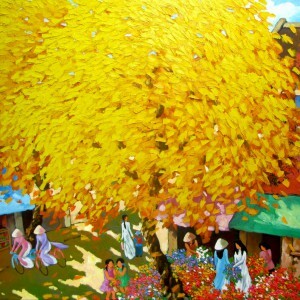 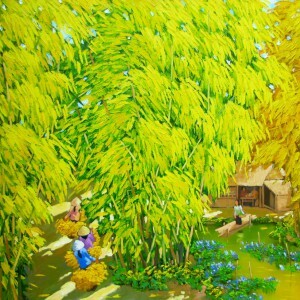 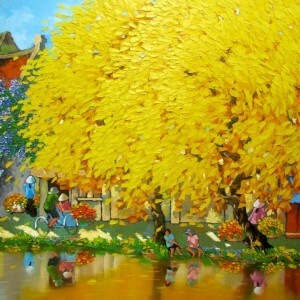 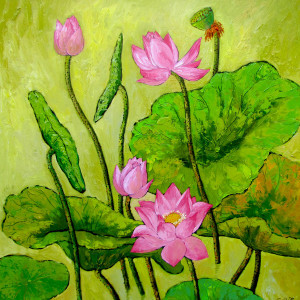 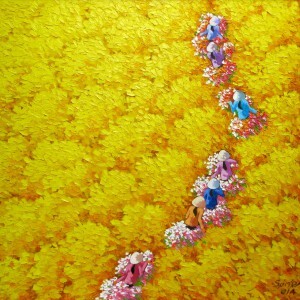 It is a fine example of contemporary landscape painting in Asia.